Sunday 14th September 2014 at 1500 hrs. This unique Church Service is a partnership event between St Leonard’s Parish Church and The North East Yorkshire Geology Trust. 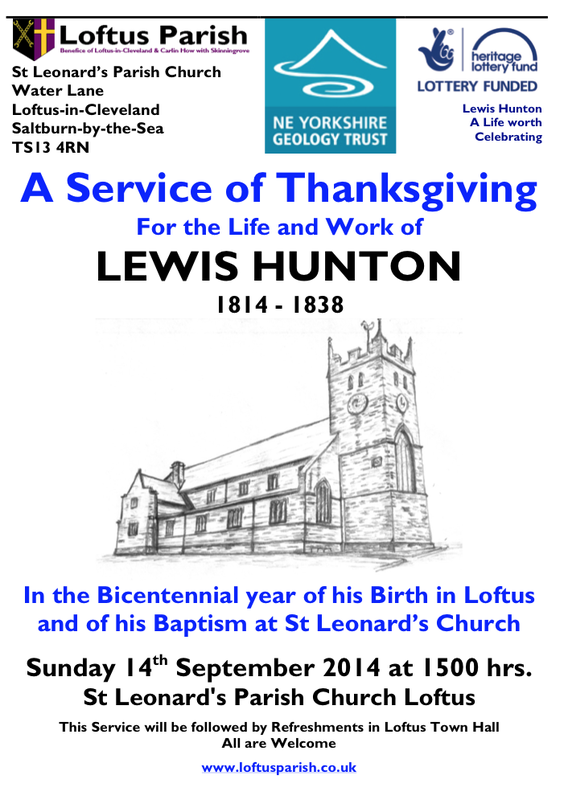 This community event will rightly celebrate the life and work of this famous geologist and son of Loftus, in the Church where he was baptised on the 6th August 1814. It is envisaged that the Service of Thanksgiving will last no longer than an hour, after which refreshments will be served in Loftus Town Hall. All are welcome.